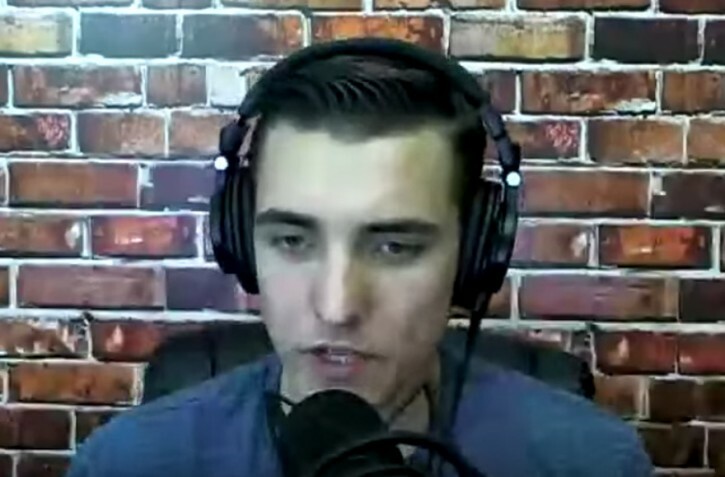 Orange County, CA - If you scroll down the Twitter feed of Jacob Wohl, former teenage hedge fund manager and current pro-Donald Trump provocateur, you’ll see a stream of insults directed at Robert Mueller, liberals and a proposed plastic straw ban. And that was just Friday morning. To his 158,000 followers, Wohl, 20, describes himself as “Conservative, Trump Supporter, Zionist.” So he seemed like an interesting person to profile for JTA. And in the 19 minutes before he hung up on me, Wohl said his share of interesting things. He complained about children of immigrants who couldn’t speak English in his second-grade class. He insisted that Puerto Rico, a territory of the United States, has a socialist government. He equated the Palestinian Authority with ISIS. Later on Sunday, he debated the causes of Puerto Rico’s economic misery with Alexandria Ocasio-Cortez, the New York congressional nominee and a rising star of progressive Democrats. Wohl said he agrees with Trump “on 90 percent or 95 percent of his positions”—first and foremost immigration. He said that “illegal immigration has just devastated communities” in Southern California, something Wohl said he realized when most of his second-grade class could not speak “a lick of English.” He said that hindered his education. “A wall would change a lot about a lot of border states as far as public safety,” he said. “What’s coming across our southern border is in many cases, not in all cases, but in many cases tremendous crime. “When Trump came down the escalator and said ‘We’re going to build a great, great wall and we’re going to make Mexico pay for that wall,’ he had my vote,” Wohl said, referring to Trump’s campaign launch. One of the issues on which Wohl disagrees with Trump relates to Israel. Wohl would like to see the president, who has been friendly to the Israeli government’s agenda, take an even harder line against the Palestinian Authority, which administers the Palestinian areas of the West Bank. “I would like to see the Palestinian Authority defunded completely by the United States and treated like ISIS or any other terrorist organization because that’s what they are,” he said. Other tweeters have enjoyed mocking Wohl for a curious trope he repeats: a contention that he hears “coffee shop hipster liberals” praising the president. He has said so six separate times. I wanted to ask Wohl about this surreptitiously pro-Trump hipster cafe. I also wanted to ask him more about his Judaism, as well as his future plans. But he hung up on me after I asked him a follow-up question about his claim that Puerto Rico is socialist. “You’ve got a terrible attitude,” he said before ending the call. He was been called “The Wohl of Wall Street,” soon ran into trouble and has been investigated by multiple regulatory organizations. He also posted personal ads on Craigslist seeking attractive women while claiming to run a modeling agency. “ He was been called “The Wohl of Wall Street,” soon ran into trouble and has been investigated by multiple regulatory organizations. soon ran into trouble and has been investigated by multiple regulatory organizations. He is a little kid who has no knowledge of the intricacies of the law. I don't think you can hold him responsible.